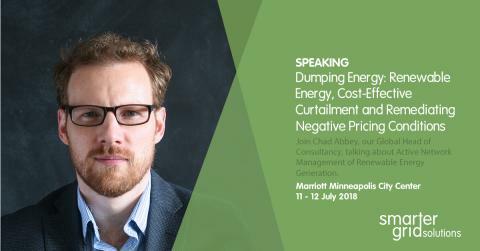 Join Dr. Chad Abbey in the Marriott Minneapolis City Center on the 11 - 12 July at the "Dumping" Energy event in Minneapolis, MA. 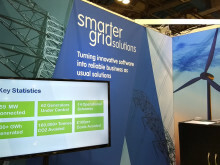 Chad will be speaking at 4:15pm about "Active Network Management of Renewable Energy Generation" which looks at our work in Scotland where the rapid increase of wind energy caused time to connect and costs of distribution connections to rise and how our Active Network Management (ANM) solution has now enabled the utilities to connect over 190 MW of additional renewable generation to the network without the need for costly grid reinforcements. 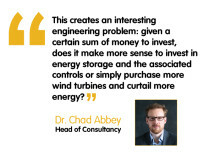 The presentation will also cover the methods used in the UK and explain how this ties into the Minnesota Solar Pathways project, currently ongoing in the state.